At a recent Excel Center graduation, 55 adults walked across the stage in caps and gowns to receive their high school diplomas. After the ceremony, the father of one of the graduates approached me to express his gratitude for the Excel Center. Not long after she dropped out of school, his daughter realized she had made a mistake, but was not able to find a way to return to school that would fit her life situation. Then she found out about the Excel Center. She not only earned a diploma; she also began post-secondary studies, which she is continuing at IUPUI. Her father kept repeating to me how much he appreciated Goodwill for starting a school like the Excel Center. But then his wife entered the conversation and said that there was another reason why her family appreciated Goodwill. Over a year earlier, both she and her husband lost their jobs. They had gone through their savings and were on the verge of losing their house. Fortunately, they were also aware of Goodwill’s Outlet Stores, which sell merchandise that did not sell in Goodwill’s other stores. Most of the merchandise is sold by the pound, and the stores have been incredibly popular. As I thought about my conversation with the parents of that graduate, it struck me that both the Outlet Stores and the Excel Centers are relatively recent innovations at Goodwill. And while they operate in separate divisions of Goodwill, both have had a significant direct positive impact on that graduate and her family. Another recent development at Goodwill is also beginning to have multidimensional impact. Early in 2012 we began operating Nurse-Family Partnership, a highly effective nurse-led home visitation program for first-time mothers in low income households. Registered nurses make weekly or biweekly visits with the mom and baby until the child is two years old. Their main areas of focus are on health related matters and the development of good parenting skills. Some of the moms are students in an Excel Center, and some are employed by Goodwill. Again, a multidimensional impact. A few years ago we made a conscious decision to take a more holistic, whole family approach in our work. We also recognized the importance of long term relationships for lasting impact. Accordingly, we have made a commitment to maintain an active, supportive relationship with every graduate of our schools until he or she obtains a post-secondary credential, becomes employed, and remains in the workforce for at least one year. We have also developed a data warehouse that will help us track the progress of every graduate indefinitely. This, in turn, will help maximize positive outcomes for our graduates and help us continue to improve the effectiveness of the services we offer. Every innovation – in fact, every major step we have taken – especially over the last twenty years – has built on what we had learned from earlier experiences. Constant learning, wonderfully talented staff, and a strong financial position made possible largely by donors of goods, retail customers, and donors of money to the Goodwill Foundation have produced a recipe that is yielding increasingly positive, often multidimensional, long term benefits for many individuals and their families and for the communities in which we operate. In 2010, we designed and launched a high school for older youth and adults who had dropped out of school. We did this in response to a request by the Mayor of Indianapolis to see if we could find a way to help adults who lacked a high school diploma to earn one. There are a lot more people in that situation than I had imagined – over 15% of the adult population of the United States, including over 100,000 in Indianapolis – and because existing adult education programs left a lot to be desired, those individuals have had very limited options. We designed the school to fit the life circumstances of the prospective students. 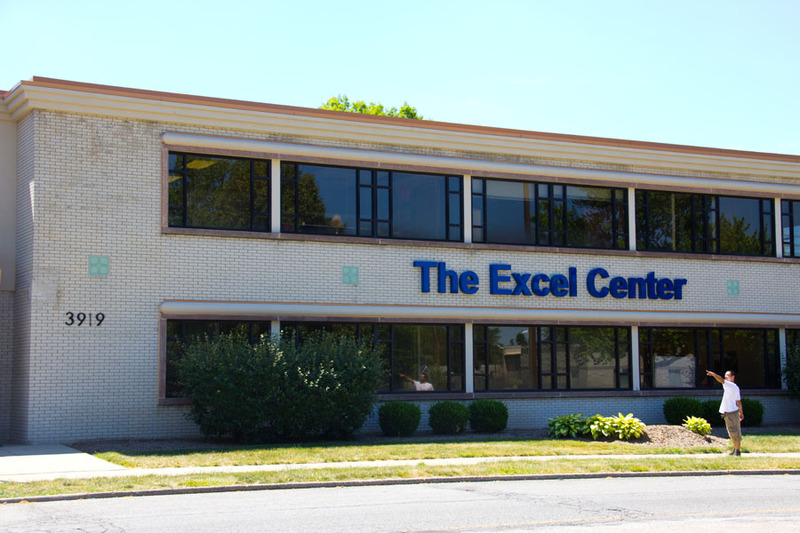 The Excel Center is open year-round, and schedules can be arranged to accommodate students’ work or family obligations. Supports are available to help keep students on track and to address factors that might hinder education attainment. There’s a free child care center for the children of our students while they are in class, and many of our students are able to take post-secondary courses for dual credit and begin working toward a post-secondary credential that will increase their employability and earning potential. 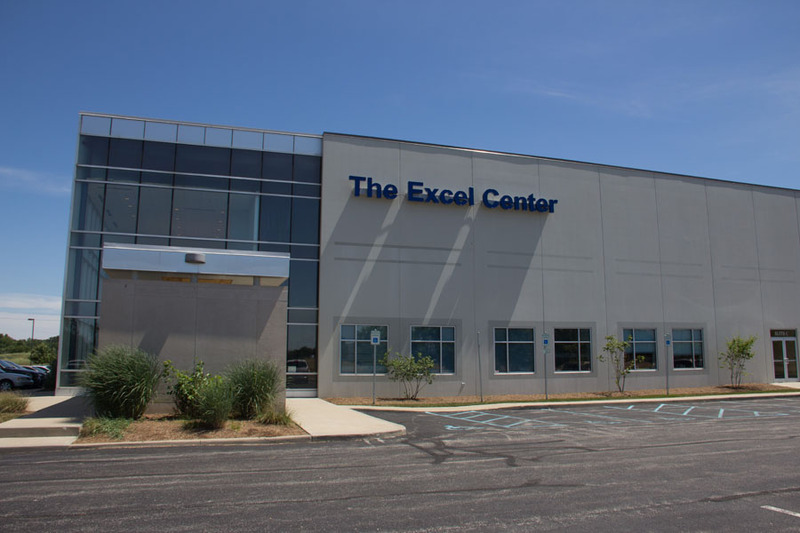 We opened the first Excel Center in September 2010. Although we did no advertising, by the following spring there were over 2,000 prospective students on the waiting list. Nothing we have ever done has resonated so quickly with so many people. In September 2011 we added two more sites, and in August we will open two more to bring total enrollment to approximately 1,400 students. We are also packaging the model and developing a licensing option so that qualified organizations in other communities and states can open Excel Centers and become part of an Excel Center Network that will enable thousands more adults to raise their education attainment levels. All of the schools in the network will have access to a portal with curriculum materials and other educational resources, a data system that will permit “deep dives” to see what’s working best and enhance efforts to improve student success. A communications platform will enable lateral communication among staff across the network as they seek to improve their effectiveness. The model will not be static. Rather, everyone in the network will be in a position to help improve it. Fifty-five percent of our students are 24 years of age or younger. We also have many parents who are in their 30s and 40s. We have even had a few students who were in their 60s. Many of the parents have told us they are doing this so their kids won’t have an excuse not to finish school. Some of our students and their school-age children even do their homework together around the kitchen table. We know our graduates will benefit from earning their high school diploma and obtaining a post-secondary credential, as they will then qualify for better jobs than they’ve typically had. But we believe their children will benefit even more, as they have seen their parents going to school, doing homework, and in many cases having a renewed sense of purpose and excitement in life. There are many reasons why students in our Excel Centers didn’t finish high school when they were younger. Some admit they just made a mistake. As we’ve seen, though, there are a lot of adults eager for another chance to improve their circumstances and those of their children. When we started the Indianapolis Metropolitan High School in 2004, our initial objective was to help increase the high school graduation rate in the city. We soon added the goal of helping increase the percentage of graduates who enroll in and complete a post-secondary course of study. We also decided that we would not be obsessed with standardized test scores. It’s not that we didn’t think test scores are important; it’s just that we didn’t think all the emphasis should be on them. We also knew that many of our students were coming to us far behind where they should have been academically and that it could take awhile for many of them to make up lost ground. Consequently, we decided that when they passed a test or graduated was not nearly as important as that they eventually did pass the test and graduate. Over time, we came to the conclusion that the best indicator of how well our schools perform is in how well our graduates do in the next phase of their lives. In other words, how well did we prepare them for what comes next? If we give a student a diploma and that student enrolls in college and has to take a remedial course, we have failed. We’ve failed that student; we’ve failed the taxpayers; and we’ve failed ourselves. Similarly, if we graduate a student who goes to work, but lacks the work habits or cultural capital to succeed on the job, we have failed that student. We have also failed the student’s employer. We take this view because we are well aware that our schools operate in a larger context. We receive inputs (e.g. students, money) from outside the school, and after a period of time we send those students out to another school, to a job, or – in a worst case situation – to the unemployment line or the streets. What happens to those students – the ones who do well and the ones who don’t – matters to us. Character, cultural capital, social skills, problem-solving ability, academic achievement – all of these are important. We pay attention to them. We also keep track of our graduates as much as we can for as long as we can. We want to know where they are, what they are doing, and how they are doing. From time to time, our graduates tell us how well we did or did not prepare them for college. At times, their feedback has prompted us to make changes so we might do a better job going forward. We believe schools should be held accountable for their results. We hold ourselves accountable, and we want others to evaluate us based on what really matters. We also recognize how difficult it is to design an evaluation system that does that. Current systems by which we are evaluated use measures that are readily available and that provide immediate feedback. These can be useful and meaningful to a point. But for a more complete picture of how well a school is doing its job, we need to look at student growth and success over a longer period of time.